Daniel Deronda (also by George Eliot) failed to produce to same sob-inducing euphoria and I’ve never quite gotten over it. 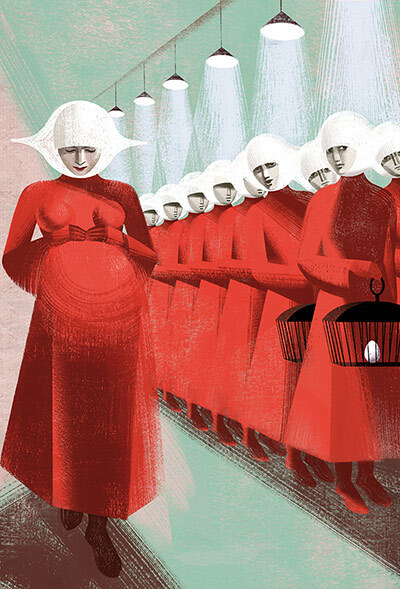 But The Handmaid’s Tale did me in next. I’d never gotten Margaret Atwood up until then. 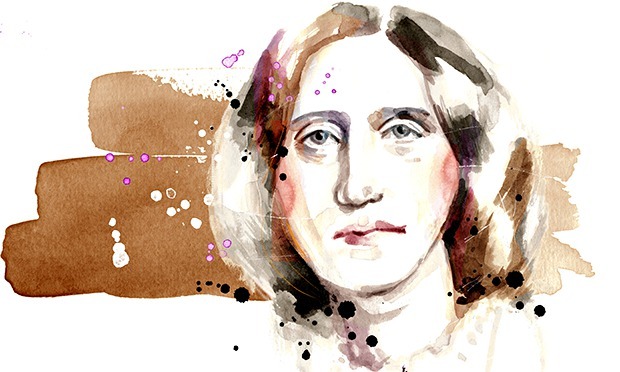 I’d tried to get into her short stories—she seemed like the sort of author one ought to like—but it was that strange dystopian-before-dystopian-was-cool paperwork that really set me reeling. Then came Middlesex, followed by a rather disappointing foray into everything else Jeffry Eugenides has ever written (I still haven’t quite forgiven him but at least, unlike George Elliot, he is not dead yet so there’s still time). Since Middlesex though, I’ve been going through a bit of a low point. That’s when, on our second to last day in Sint Maarten, my future mother in law casually mentions The Poisonwood Bible and informs me that she’s “traded in” for it at the poolside leave-a-book-take-a-book box. And this—this being self righteous—is not good. In fact, as far I can tell from the one third or so of The Poisonwood Bible that I’ve read so far, self-righteousness is going to be the downfall of the poor Price family. So I’m going to have a nice hard think on that before starting up the next semester on Thursday. Because I want my students to like me, but more importantly I want them to like anthropology, or, at the very least to like going to college. In the meantime though, it’s time for my usual histrionics: How did I miss this book? How have I not read this until now??? It’s part of the Oprah Book Club for crying out loud! PS: No spoilers. I still have a few hundred pages to go. My favorite teacher gave me that book to read in 9th grade. I LOVED it and wanted to share it with everyone… but the thing about that is I lent it to my brother and he left it in his backpack and then put an orange on top of it and then forgot about it. I’m still traumatized that I got my book back with mold on top of it. He’s no longer allowed to borrow books. You know what’s another book that you need in your life? HARRY POTTER!!! And I know you’re an Austen fan, but have you read “Jane Eyre” by Charlotte Brontë? It’s tied as my favorite book with “A Tree Grows in Brooklyn” by Betty Smith (which you should also read if you haven’t). Do you like scary books? I’m reading “Heart Shaped Box” by Joe Hill and it’s soooo good, but it is scary. He’s Stephen King’s son, if that gives an indicator of how frightened you’ll be reading this. Do you read Tracy Chevalier? I feel like you would really like her works. She’s like reading dark chocolate. Her books are that good. Have I read Jane Eyre??? But OF COURSE! Plus a bunch of stuff by the other two sisters, even some of really obscure titles that now escape me. I’m a Wuthering Heights fan though, all the way. As for Tracy Chevalier, yep you guessed correctly: I’ve read everything she’s ever written except Burning Bright, just couldn’t get into that one. Hard to pick a favorite because they’re all so good! Will have to check out A Tree… have always found the title intriguing. Thanks for the recommendation! Barbara Kingsolver, ‘nuf said….LOVE her work! Haven’t read this one though, so will try to download it from the library. I’m with you on Jeffrey Eugenides, only for me, I loved The Virgin Suicides (and I thought the rest of his backlist was…less than stellar). 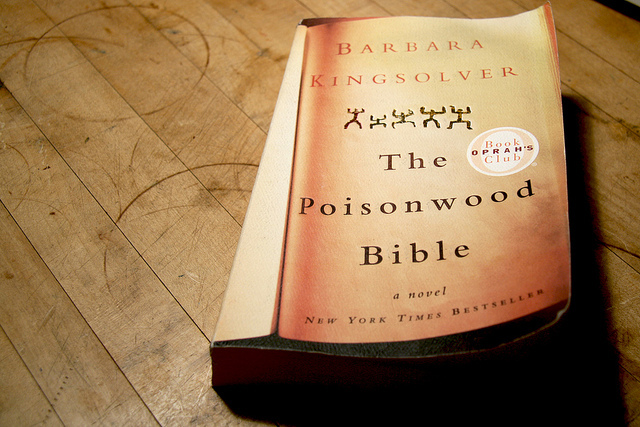 I tried to read Poisonwood Bible, just like I tried to read Prodigal Summer (another Kingsolver book, and if you end up enjoying the Poisonwood Bible, I know a lot of people who really enjoyed Prodigal Summer). Couldn’t get into either of them. But I adored The Bean Trees, Animal Dreams, and Pigs in Heaven. I adored the version with Keira Knightly, not so much the miniseries 🙂 Oh, wait, you mean the BOOK? I’m not much of an old masters reader – I’ve tried many, many times to read some of the truly classic titles like Jane Eyre and Sense and Sensibility, and I struggle with the language. Too dry for me. Strangely, though, I love Shakespeare. Huh… Shakespeare over Austen? Interesting. But you have confirmed my hypothesis. I’ll read pretty much anything I can get my hands on. When I was in middle school I was annoyed with my assigned reading, so I leaped a few reading levels ahead into adult books and stayed there all through high school. I was so bored in class that I used to read under my desk. Then when I got to college I discovered all these cool YA authors I’d missed and I detoured a few years into that department of the bookstore. With all the academic reading I was doing, it was nice to space out in the story part of a story without working too hard. Now that I’ve graduated though, I’m finally swinging back around into adult fiction and I’ve been thrilled by everything I’ve gotten my hands on thus far. I actually just went to the library for a copy of The Poisonwood Bible (my good friend loves it so much she has it tattooed on her body so I figured I had to read it someday) but it was out. So I checked out my first Jeffrey Eugenides and David Sedaris books instead. I’m excited to read them next week on my vacation. A Poinsonwood TATTOO??? Now that is true fan-dom! I could almost see it though. There are a quite a few quote-worthy lines. I did pretty much the same thing as you in junior high/high school (we had to read at SUCH a slow pace that I’d finish the book weeks before the rest of my class and evidently told one of my teachers told my mom that if I was so “bored and distracted in class” I should “help the other students.”) My creative writing was also too creative. Go figure. I got caught a lot, but I was such a smart mouth about it. They’d ask me a question to throw me off my game and call me out in front of the class and then I’d get to watch how confused they were when I had the answer anyway. In hindsight I know they were just doing their job, but I was bored and a teenager and so obviously I didn’t consider their feelings. I just wanted to read my books. I went in looking for The Virgin Suicides, but only The Marriage Plot was on the shelves. So I figured I’d give it a go and then work my way back. And I know…my friend is very dedicated. I adore her. I could never pick a quote to tattoo on myself. Too many favorite lines from too many favorite books. Sooo… a friend of mine recommended Poisonwood and told me enthusiastically that I would love it. I couldn’t get through the first 100 pages, and then I skimmed through various other parts of the book to see if maybe I liked it more later. No such luck. I had a feeing the portrayal of the father was very one-dimensional, black-and-white, and I got the sense from the beginning that I was being told how to feel about him, which I disliked. So I gave up. I’d be interested to hear from you whether his portrayal is more subtle/nuanced further into the book. Yeah so I have now finished Poisonwood and you are right about the father. He never really changes, just gets crazier, but you do find out a bit more about why he is the way he is. In a lot of ways, the main characters in the book are all sort of archetypes in that they represent different ways of “dealing” with “Africa” (which I’m also putting in quotes because I’m referring here to the idea of the “Dark continent” as a homogeneous place, which of course it’s not but the characters are all speaking from the vantage point of the 1960s). Thanks for provoking me to consider which are MY “how did I live this long without” books. You’re welcome 🙂 What titles have you come up with? This is one of my favorite reads, possibly Kingsolver’s best. Here are two more from my list of top ten favorite novels: One Hundred Years of Solitude, by Gabriel Garcia Marquez, and East of Eden, by Steinbeck (far better than Grapes of Wrath!). Happy reading! Yes! I am big GGM fan, although so far I’ve only gotten through Love in the Time of Cholera, Of Love and Other Demons (which I picked up because the title is just too good) and Memories of My Melancholy Whores (the title of which sounds waaaaay better in Spanish). Will keep an eye for East of Eden.